Some folks spend their weekends out and about around town seeing sights, but since I live in a heavy tourist city and set my own schedule, I specifically try to avoid going out most Saturdays and Sundays. I find the weekends to be the perfect occasion for me to edit photos. For those unfamiliar, taking the picture is only the first step. I then have to review the lot, make my selection from the hundreds of pictures I snapped and then edit them to my personal aesthetic and liking. To say the least, it’s a process that under the best of circumstances can be time consuming. I have fun with it though; I often put on some cool tunes and really lose myself for hours while scrutinizing each photo. Today’s featured images are the fruits of my latest editing session. 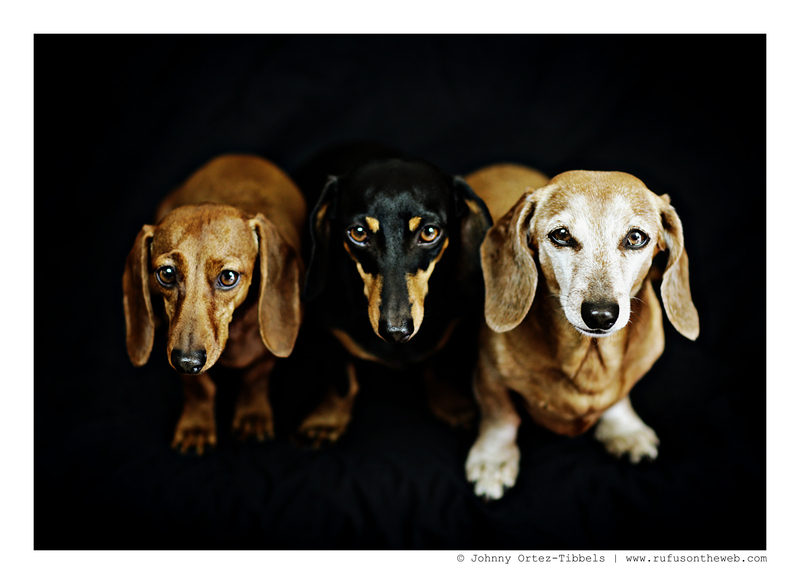 My three amigos: Rufus, Emily and Lily. Let me know what you think. And, have a great weekend – whatever you and your hounds do. 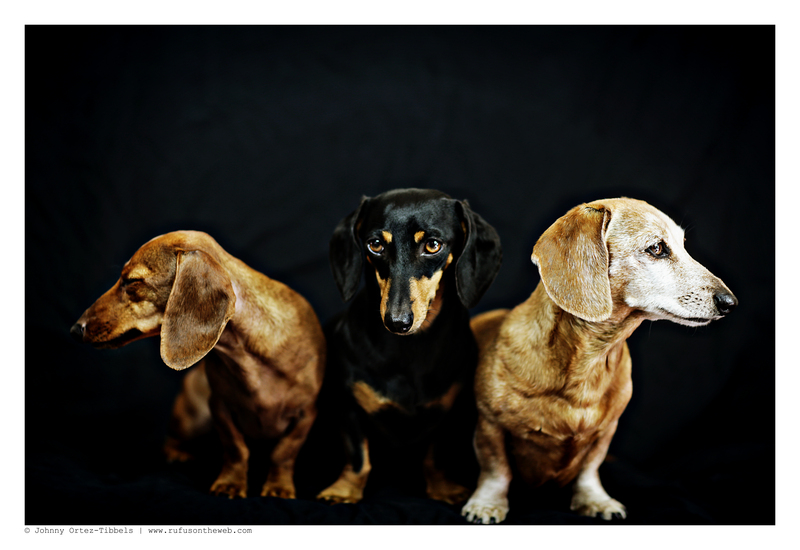 This entry was posted in Emily, Lily, Rufus and tagged #ADachshundsLife #HappyHounds, #black and tan dachshund, #DachshundPhotography #DachshundArt #OriginalPhotography, #DoxieArt, #LowRiders, #red dachshund, #smooth dachshund, #WienerDogs #HotDogs, doxies. Bookmark the permalink. I love the last one, just beautiful. I think Rufus has the most kind eyes that I’ve ever seen, on any dog, or person. You did it again! 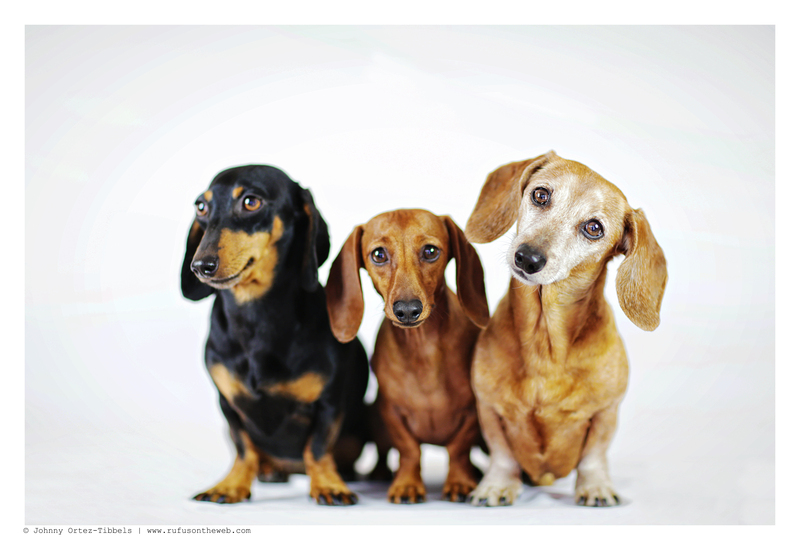 Beautiful pictures of beautiful doxies. 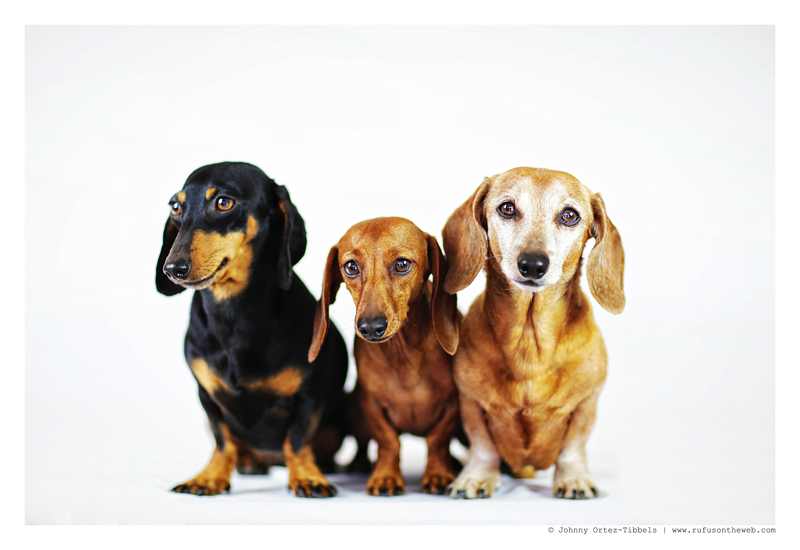 since i’m partial to Dachshunds I Love Them. Great photos.